Of the many ires of social media, one thing I love is how it connects and reconnects us. Last month, I caught up with Allison May Horseman, a fellow 2002 graduate of Georgetown College over an Instagram message. I had just featured our mutual friend, Hallie Piatt, on the blog and we connected over her story. How surprised I was to discover what Allison has been doing with her creativity and leadership skills since seeing her so many years ago! 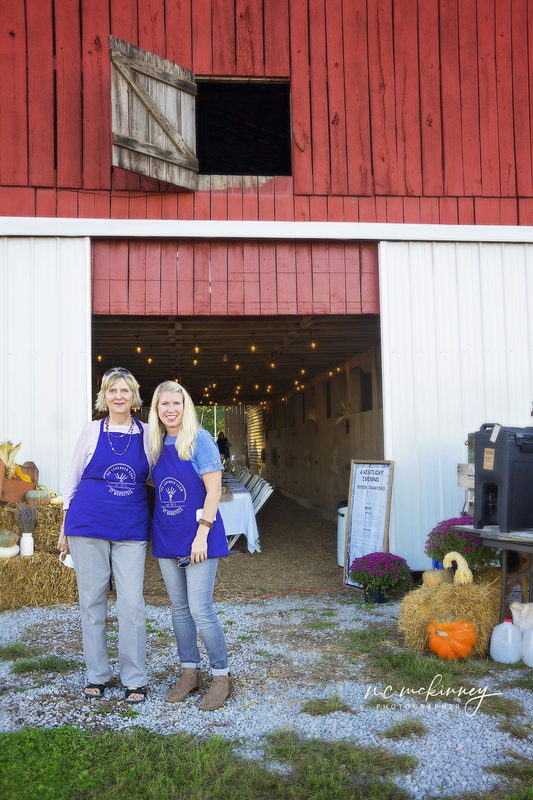 A true entrepreneur, she is turning a family farm into a burgeoning enterprise alongside her mother, Mary. 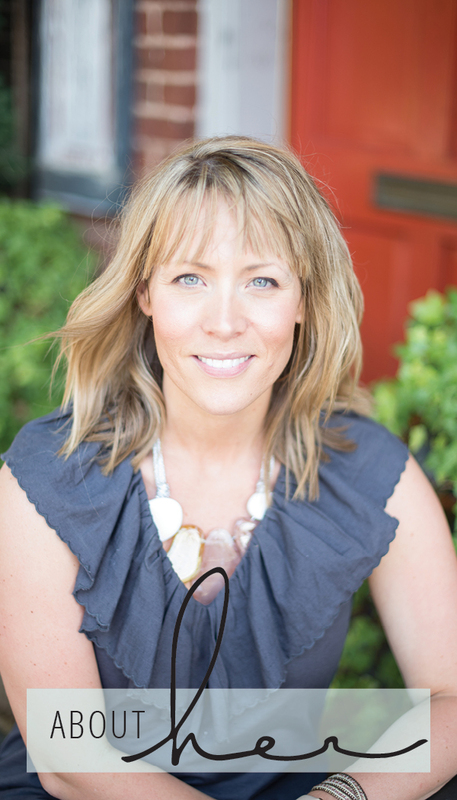 Allison, your story of reinvention in your personal career is inspiring. And the way you’ve honored your family’s legacy and the American farming tradition should make everyone Kentucky Proud. 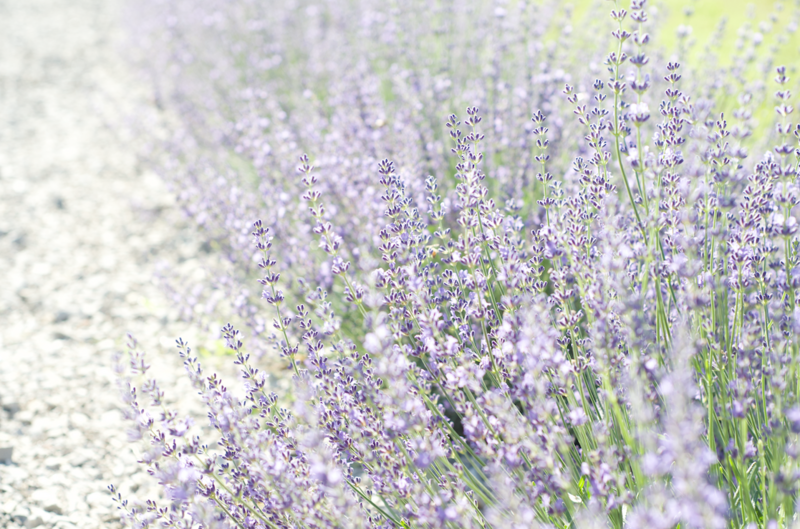 Reader, I just know you’ll enjoy learning about The Lavender Farm at Woodstock. 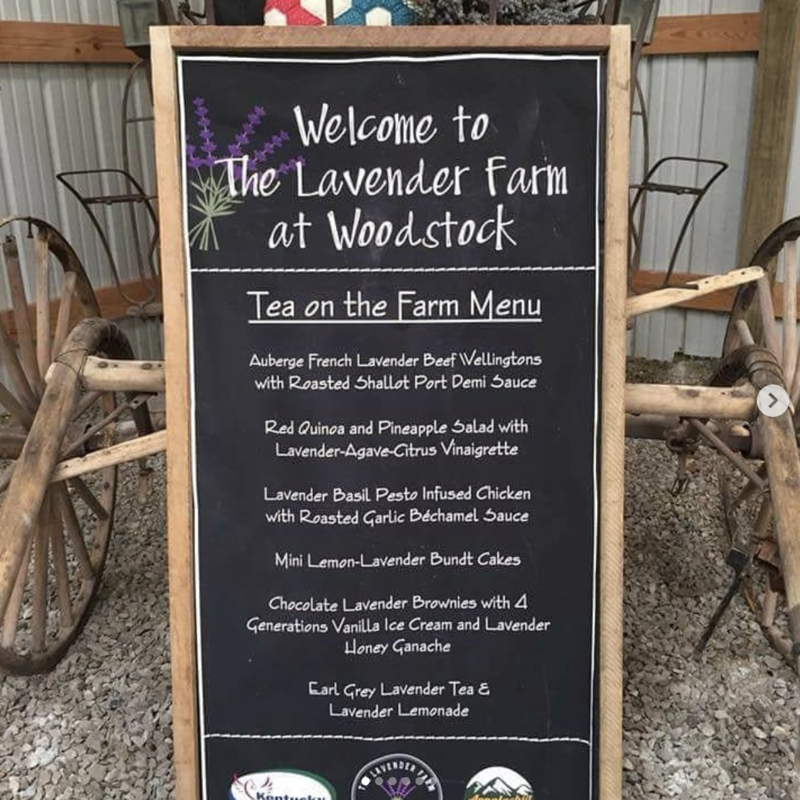 Tell us a bit about The Lavender Farm at Woodstock and how it came to be. My mom, Mary May, who is also my business partner, likes to tell people that The Lavender Farm at Woodstock is a hobby that got out of control! While that may be true in some ways, in other ways, it’s an answer to prayer and has certainly been a blessing in both our lives. In 2011, my husband Kelly and I took a huge leap of faith and moved to the farm when Kelly had the opportunity to purchase his own Allstate agency. Although I wasn’t raised on the farm, which is located near Somerset, Kentucky in a small area called Woodstock, my grandparents lived here, so I spent a lot of time on this farm. Prior to the move, I had been working in marketing and development for the University and Kentucky. Although I loved my job, a tiny bundle of joy came about and rocked my corporate world! All I wanted to do was be a mom and taking a leap of faith to invest in Kelly’s business was a dream come true. To make a long story short, we moved into my grandparent’s home, which had been sitting empty. About a year or so after we moved in, we had the opportunity to purchase the home and about eight acres around it. 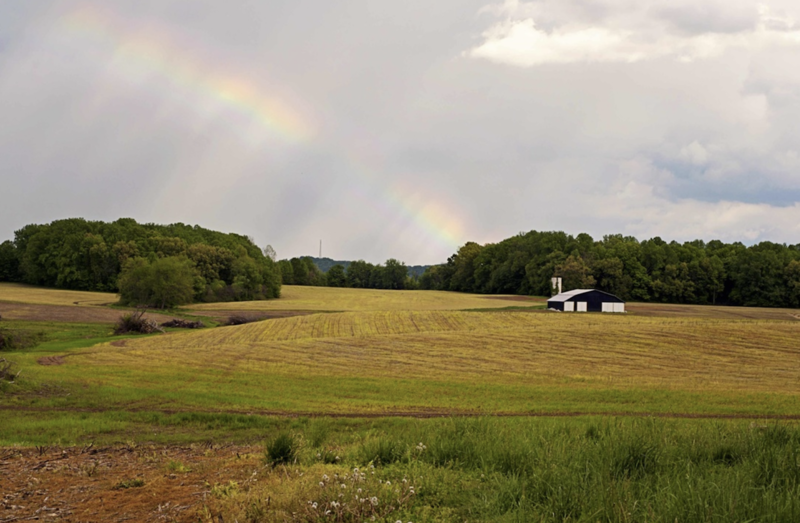 Once we purchased part of the farm, I had a burning desire to do something to honor the land. I am the fourth generation to live on this land and every family before me has had their hands in agriculture in some way. With Kelly working hard off the farm, I knew I had to come up with something that I could handle the majority of by myself, and also something that would allow me to focus on my kids the way I had desired. Although I came up with several “unique” ideas (like milking sheep for cheese! ), my mom was the one who actually came up with the idea to grow some lavender. We began researching the idea and started working together in 2013 by growing 50 lavender plants and not having a real clue about what we were doing. We loved every minute of it and have now expanded to around 600 plants in seven varieties. 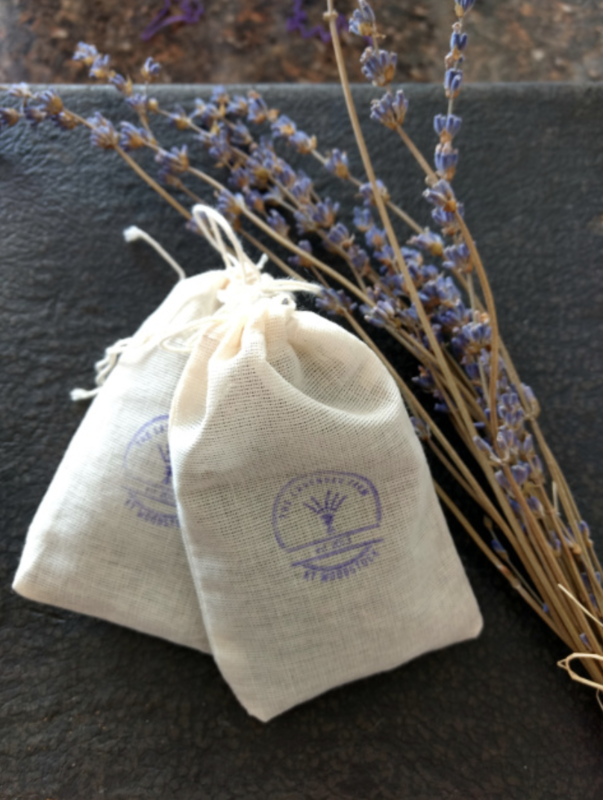 We also make about 20 different lavender value-added bath, beauty, culinary, and household items and just signed on our 25th retail partner. You’re in business with your mother on a farm that your grandfather worked to save during the Great Depression. How does honoring your family’s legacy affect your business decisions on a daily basis? The agricultural heritage of our farm is really what drives our entire operation. I can tell you that there’s not much more special to me than to have my hands in the same dirt that my mom, grandparents, and great-grandparents once worked. I once heard that you should be working for your last name, not your first. That message stuck with me and I think it’s so important to honor our roots. For my family, those roots are in agriculture. Mom and I both knew that we wouldn’t be traditional farmers, but the fact that we were using the land to produce a product, just as our ancestors had done, just in a different way, was the primary force behind our farm as it is now. I can say with certainty that my grandparents and great-grandparents would be floored that we are growing lavender and that people actually come out of the farm to see it, but I know they’d be proud. As you mentioned, my grandfather had to take a train to Detroit to work for Dodge Brothers for nearly two years in order to send money home to make his payments on the farm. How could I not develop and honor that same land in some way? If it was that important to him then, then it is just as important to us now. 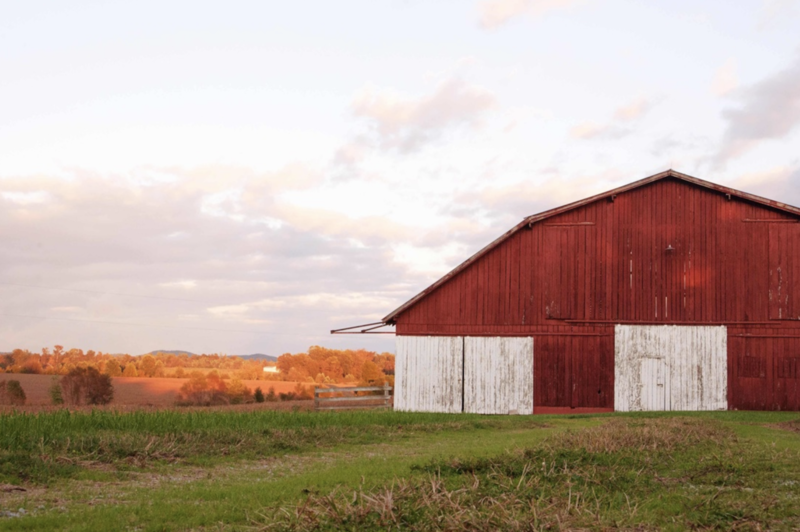 I also believe that there is a resurgence among many people, especially those who have some historical connection to the farm, to get back to their roots. Visiting the farm, or supporting us through the purchase of our products, allows them to invest in local agriculture and also have a unique experience. I think people are realizing what we lost when we ignored the family farm for a few generations. Now, there’s renewed interest in saving that heritage and women are at the forefront of that change. We’re just happy to be part of the conversation. As a business owner, what tool, object, or habit could you not live without in your day? Wow! This is a hard one. I honestly never realized what all goes into running a small business before the farm. There is constantly something hanging over my head and I’ve really struggled with balance as we’ve grown and expanded. Up to this year, Mom and I have done everything. We make the products, order inventory, work with wholesale and retail customers, make deliveries, package products, design our own labels and materials, do all the marketing and web design, file and maintain taxes and licenses, and so much more. Earlier this year, we were able to hire someone to assist with labeling and packaging a few hours a month thanks to a grant from the USDA. We also convinced my sister Emily to assist with our banking and taxes, which is a huge relief and also involves her in our operation. Honestly, my two biggest “must have” tools are my phone and my calendar. I do so much in terms of responding to social media messages, emails and online orders that I really need to have the ability to work remotely. Social media has been hugely responsible for the largest growth in our business, so we really try hard to be responsive and utilize online tools to help with our social media marketing. And without my calendar, I’d be completely lost! It helps me keep track of orders and deadlines, as well as family and personal obligations. I just hope I never misplace either one! What is a piece of advice you’d offer other women hoping to change direction in their careers or try something new entirely. Of course, I’d say go for it! I’m all about taking risks if it’s something you love, but I think that risk should be calculated. As I mentioned, we started this business in 2013. Last year, we turned a small profit. Five years after putting our first plants in the ground, I wrote myself a $400 check and mom is still working on a volunteer status. We are slowing becoming more profitable, but it certainly has been a labor of love, not money. With that said, though, I’ve learned that not everything is about money. Mom and I couldn’t do this together if we had to depend solely on it for our income. If we hadn’t had support (emotionally and financially) from our husbands, I’m not sure I could have taken the leap to where we are now. Last year, I quit my part-time marketing job to focus on the farm. That was a huge, scary step for me. Even though I wasn’t working full-time, I loved my job and I loved my colleagues. I worried I would fail at this and I worried my family would struggle without my income. Although it hasn’t been easy, I feel like it has been a step I needed to take. With two active kids (ages 5 and 9), I still get pulled in a million different directions and can’t focus as much as I’d like on growing the business, but we’ve taken huge strides this year. We’ll be hosting four sold-out teas on the farm this year, as well as a festival and some classes. I think it’s a pivotal year for us, and it’s happening six years after we had the idea. So I guess my advice would be to go for it but to understand dreams take time. There are so many resources out there for people who want to go back to school, start a farm, write a blog, learn to fly fish, or whatever your heart desires. It takes a lot of work, a lot of patience, a lot of prayer, and a lot of collaboration, but it can be done. In the end, success may look different than what you’d envisioned, but getting started really is half the battle. 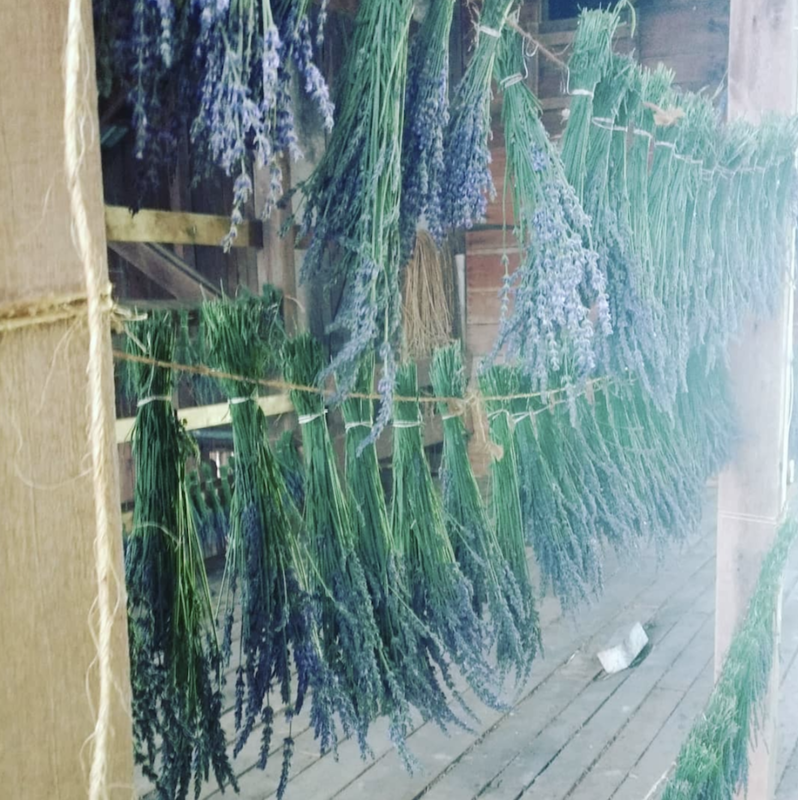 There are actually quite a few lavender farms, even in Kentucky, and most of them are run by women. 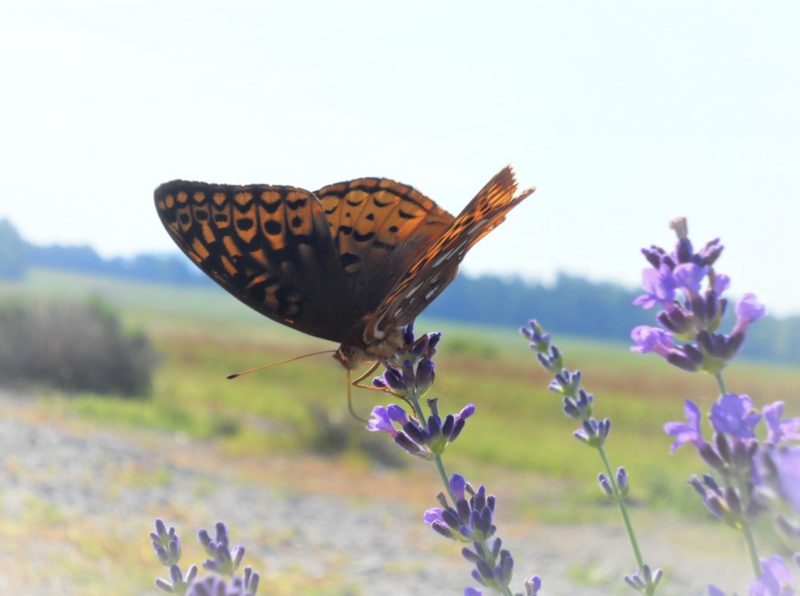 As we’ve become more involved in the United States Lavender Growers Association, we’ve had the opportunity to connect with so many other growers. We learn from them and hopefully we are able to share some knowledge as well. We also have formed collaborations with others in the handmade/artisan world and have been so blessed by those entrepreneurs. One thing we believe is the notion of community over competition. There are lots of people out there making and selling beauty products like we do, or who have dreams of a lavender farm, but there’s room for everyone. Everyone has a different focus and a different way of doing things. 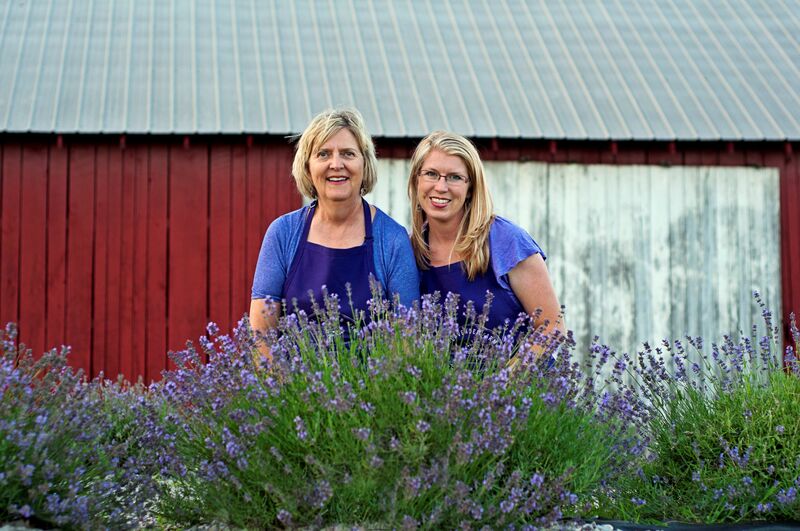 For Mom and me, there’s a lot of love, legacy, and passion in every lavender product we put out there. We’re still learning and growing, but we’re sure enjoying our work together to bring something unique to South Central Kentucky and to our future legacy.